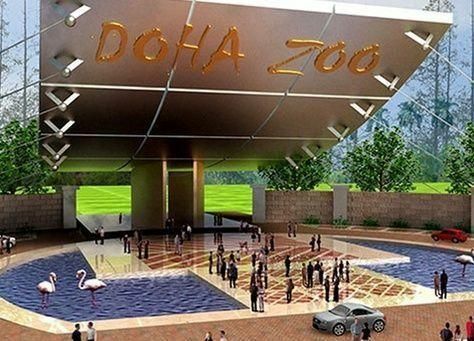 Doha Zoo is located 15 kilometres out of Doha city on the Salwa Road south, in the industrial area near the Equestrian Club. 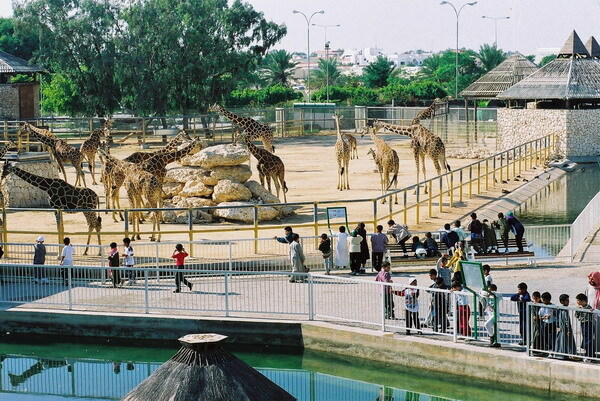 Look for Al Furousiya Street, Salwa Road South.Doha Zoo houses over 1500 animals from around the world.The collection includes oryx, giraffes, elephants, baboons and zebras.Many of the animals, with the help of their trainers, give frequent live shows to enthusiastic audiences. The elephant performance should not be missed. The zoo has a cafetaria and children's play area located within its 4.2 hectare grounds. A trip to the zoo makes a great weekend excursion for both children and adults. Note that Tuesday afternoons are for ladies and children only.The opening hours are 8 am until Noon and 3.30 pm until 8.30 pm.Other than the Oryx Farm in in the Al Shahaniya region of central Qatar Doha Zoo is the only venue where visitors can view animals in captivity.Visitors need a special permit from the Ministry of Municipal Affairs and Agriculture to visit the Oryx Farm. It is probably easier to go through a tour operator.